870 x 270 x 60 mm minimum usable size (34.25" x 10.60" x 2.35"). One blank makes 2 stocks. All sides trimmed. CWP specialises in through-dyeing of wood using environmentally friendly processes. 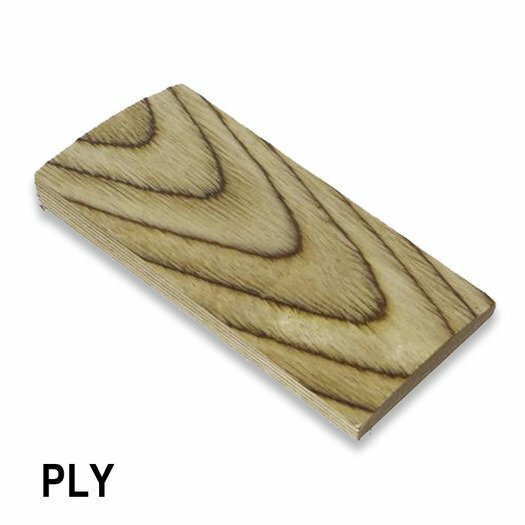 CWP laminated blanks are genuine wood, which has the feel and workability of wood. Because the colour penetrates through the entire thickness of the material, the surface can be renewed by sanding without loss of colour. All veneers are hand selected and each blanks is signed by the person who made it for you. Gun stocks, pistol grips, bow handles, knife handles, furniture parts, small items like pens, pepper mills etc. Peeled white birch veneer 1,5 mm. High density and good quality (AB). All veneers length wise, parallel glued. 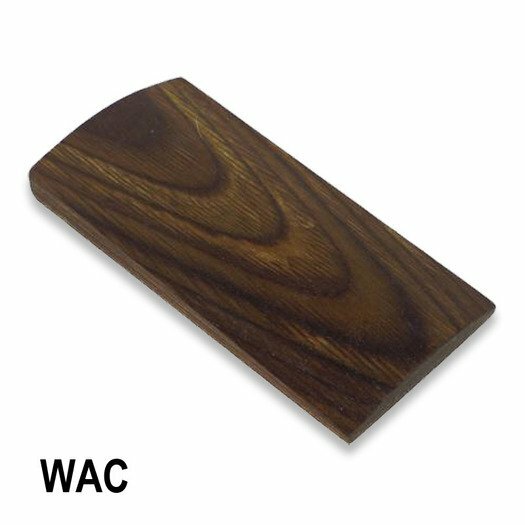 Raw material is mainly PEFC or FSC certified. Through-dyed by environmentally friendly water-based dyes. 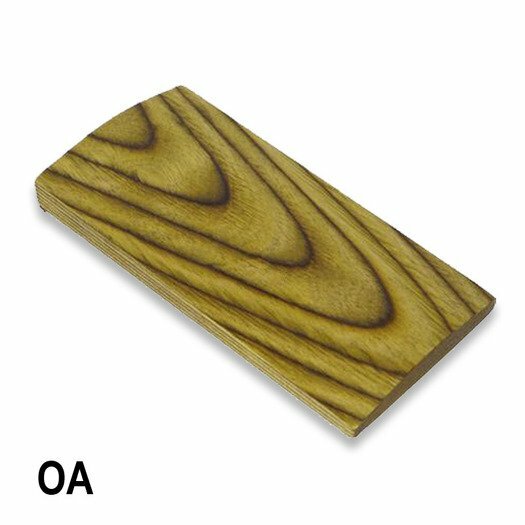 Being a natural wood product the colour and structure may vary little from one lot to another. 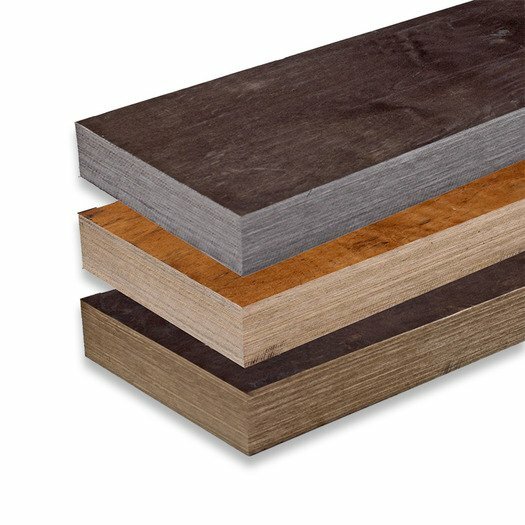 In the through-dyeing of veneers CWP is using a unique, environmentally friendly processes. 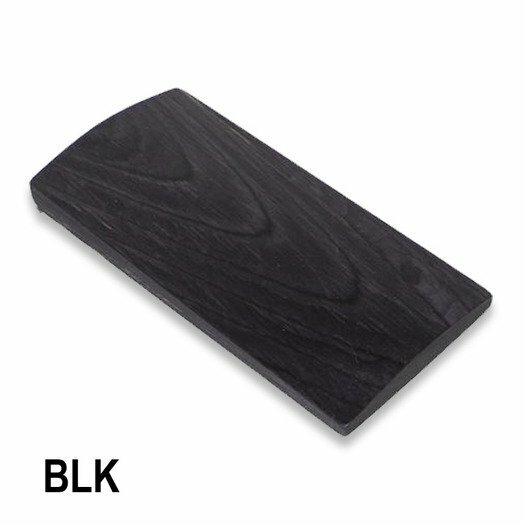 CWP laminated blanks contain no harmful substances. Use normal protection against wood dust. Due to the thick layers of the veneers in the structure, the surface becomes lively. Some waviness may appear at the ends of the blanks. Moisture content 8 – 12 % (at delivery). 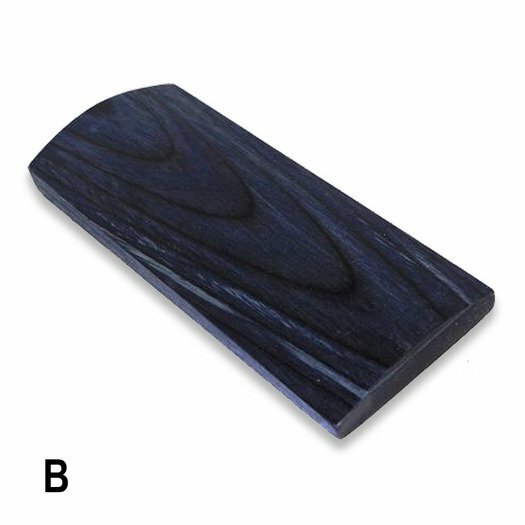 Surface veneers C-quality. Small single live knots max. 10 mm allowed in the middle of the blank. Veins/ hairs allowed. May cause liveliness in colour (pale stripes). Flamed and curly veneers allowed. Brown heart allowed in dark tones. 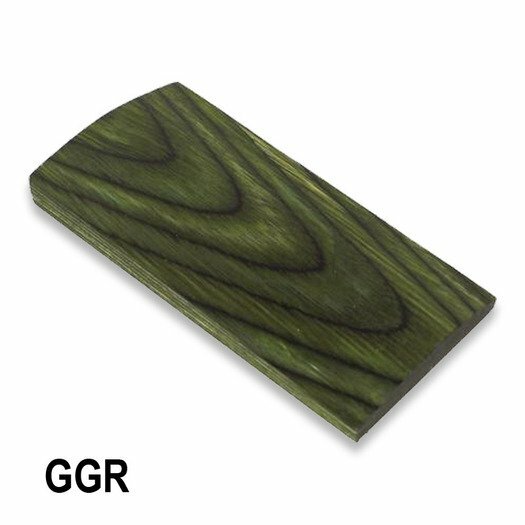 Moisture-resistant wood glue, good workability with normal wood working tools. UV Permanence is good on surface-treated product. With certain colours, the natural shade of the birch may show through. Testing is recommended depending on the area of application. 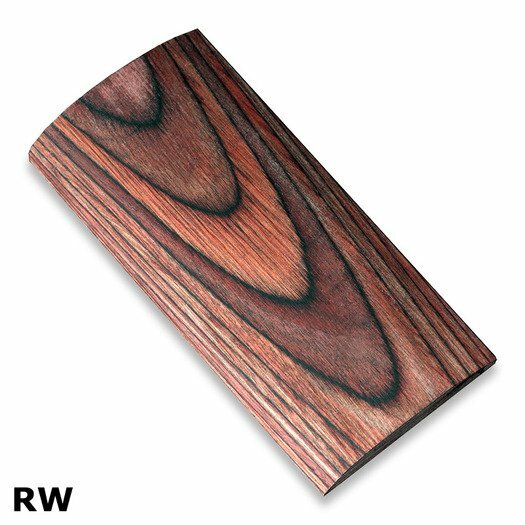 CWP specialises in through-dyeing of wood using unique, environmentally friendly method for manufacturing through-dyed veneer and laminated blanks.